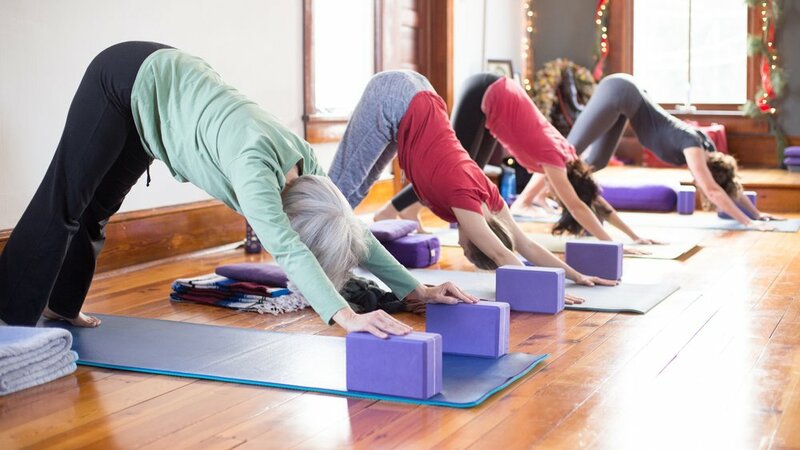 For nearly 20 years, the teachers of TriYoga of Central Pennsylvania have been sharing the gifts of healing and relaxation with the community. Based on our own experiences as teachers and students, we believe in the power of yoga to transform bodies, minds, spirits, and lives. We're friends and neighbors, thick and thin, bendy and tight, young and old, dabblers and experts. We believe yoga improves your life no matter what brings you in the door, how often you come or how far you take it. As certified teachers, we are trained to help bodies expand safely and comfortably into new possibilities through all stages of life. Our dedicated yoga studios provide a peaceful, vibrant, and welcoming environment to support your journey. Join us. Read more about TriYoga®.